Energy and excitement were high today, at the Royal Performance Convention as our winning colleagues attended the formal presentation of the prestigious Leo Awards.Representing Manitoba, Saskatchewan and NW Ontario Laurel Chelsberg, CSR Tisdale SK, Lolitta Babb, CSR Regent & Rougeau Winnipeg, and Tina Currie, Account Manager Val Caron ON are the proud recipients of the 2006 Leo Award. 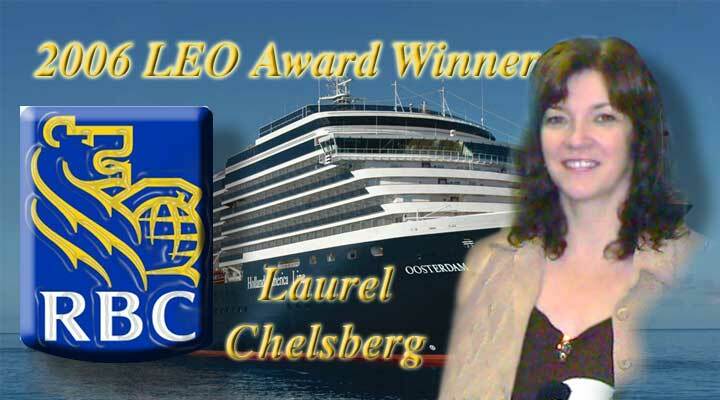 The Leo Award is the top employee honour given annually and recognizes employees who demonstrate outstanding performance and service to their clients, company and community. Only 60 employees earn this award annually – out of approximately 60,000 employees worldwide. The Leo Award is the “best of the best” within RBC, and each recipient receives an elegant gold “Leo” statuette- strikingly similar to the Academy Awards “Oscars”!